Travel back to the days reminiscent of the golden years of Hollywood with this Aico Hollywood Swank Platform Bed. 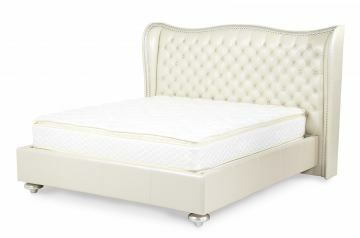 The tufted and winged headboard is beautifully tufted with crystal accents. Make a statement of glitz and glamour with this collection!